In the attempt to keep up with the pace of technology and business change today, most IT organizations are relying on a variety of external vendors. But orchestrating a mix of IT traditional providers, offshore outsourcing firms, and new cloud computing suppliers while keeping up with business demands requires a robust vendor management and governance practice. Outsourcing consultancy Alsbridge recently introduced a vendor management and governance self-assessment tool to help IT organizations gauge their effectiveness in the areas of contract management, financial management, performance management, relationship management, risk management and general strategy. Multi-sourcing management is an emerging discipline, says Alsbridge managing director Jeff Augustin, and companies are looking for ways to assess their own strengths and weaknesses in order to improve their service delivery management. CIO.com talked to Augustin about the challenges of outsourcing management today, the state of the practice, and why mature vendor governance is critical to advancing outsourcing relationships and delivering positive business outcomes. CIO.com:Why are internal IT outsourcing vendor management and governance capabilities so important today? Jeff Augustin, managing director, Alsbridge: One specific factor is the continued growth of complex multi-vendor outsourcing agreements. You need to have effective vendor management in place to oversee all the providers in the environment and ensure collaboration and keep track of all the moving parts and the constant changes taking place in the service delivery model. In a broader sense, businesses are making it a priority to achieve more value from outsourcing. They’re seeing cost savings, but they’re increasingly looking for benefits such as process consistency across business units and better data that can drive operational improvement and customer insight. Getting better data is also [the] key to more sustainable outsourcing relationships. Clients recognize that the overall strength of a partnership depends on trust, but that trust requires having fact-based information around the various functions and processes covered by each area of vendor management. Without that solid foundation of good information, organizations tend to be guided by emotions and end up focused on day-to-day firefighting. So businesses are seeing that vendor management provides the reliable and consistent information that enables trust and that drives mutual benefits. CIO.com: Clearly vendor management capabilities are critical. Why aren’t IT organizations better at it yet? Augustin: It’s still a relatively immature area for one thing. It’s only been in the last couple of years that we’ve seen enterprises establish dedicated vendor management functions. Now they’re trying to figure out how best to structure the function, and which vendor management functions to outsource and which to keep in house. Another challenge is that it’s such a broad area [that] it’s difficult to prioritize and to know where to start. 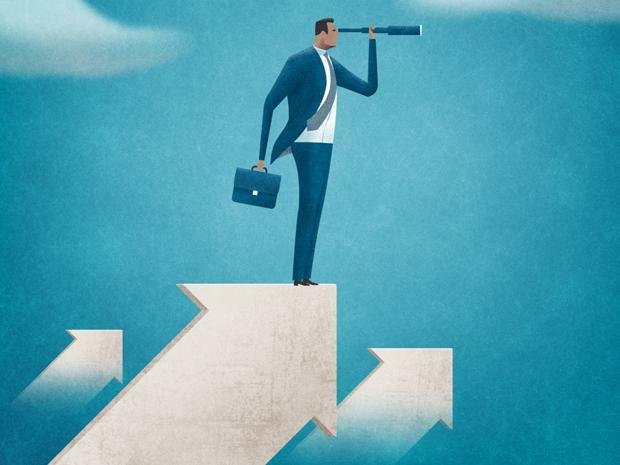 CIO.com: Where are you seeing the biggest gaps in vendor management capabilities today and why? Augustin: The biggest gap is implementing standard vendor management and governance processes to ensure that vendor value is being optimized. Effective vendor management requires the coordinated involvement of many internal and external stakeholders and keeping track of a lot of moving parts. Organizations often underestimate the change management effort needed to drive standard best practices. The industry that seems to be making the most headway in this area is banking and financial services. These organizations are responding to increased regulatory pressure around third party risk management, and we’re seeing them make significant investments to improve vendor governance capabilities. CIO.com: Are there certain aspects of vendor management and governance that IT organizations are generally better at than others? Augustin: In the banking and financial services sector, we find that IT organizations are most mature in the risk management discipline. That said, in general, the maturity levels of an organization’s vendor management capabilities are more dependent on the vendor management and organization leadership than on industry influences. We find that companies with strong vendor management teams and executive support are consistently strong across all vendor management disciplines of contract management, performance management, financial management and risk management. Meanwhile, those without strong leadership are consistently weak across all disciplines. CIO.com: How much can an IT organization glean from this kind of self-assessment? Augustin: The tool is specifically designed to help enterprises assess their vendor management capabilities at a high level, to help them identify areas of strength and weakness. This overall assessment is important because it provides a framework and a starting point in terms of what steps to take. One of the challenges of vendor management is prioritizing and knowing where to begin. Identifying gaps in a specific area enables prioritization and a focus on that area. If, for example, you determine that contract oversight is lacking, you can focus on that area and then leverage improvements in contract management across other categories. The first step in any improvement effort is an accurate assessment of the existing level of process maturity and capability. Once the gaps between the current state and desired state are defined, the organization can prioritize and initiate actions to close the gaps. Ongoing assessments allow organizations to monitor progress towards their desired maturity and capability levels. Also, in many cases, vendor management functions struggle to articulate what it is exactly that they do. In that regard, the tool is helpful in helping to articulate that.